HighTech Garage Doors has both the experience and the mobile capability to install your garage door whenever you need it. If you have an existing garage door that has to be replaced or if you are engaged in a new construction and need a garage door installed, these are tasks that we are able to perform for you at your location in Seattle, WA. 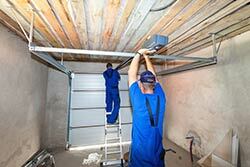 The company can provide you with all of the services that you need to install the garage door you want.